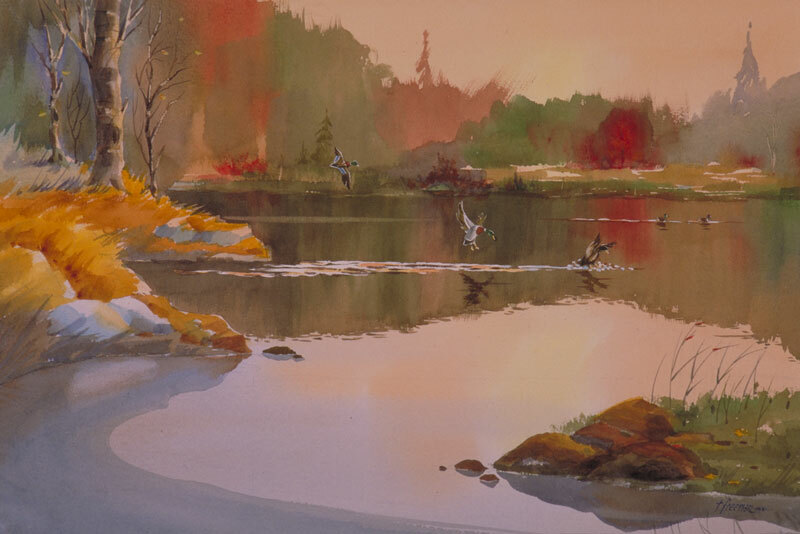 Thomas Freeman Original Watercolor Painting: "Welcome Home"
The ducks are the stars in this picture, and the title alludes to their homecoming. A photo in Minnesota was the starting point here. There's a little pond near my son's house and I adapted the painting from that. The Fall scene has lots of natural color; I painted the background trees wet for a mixture of colors.